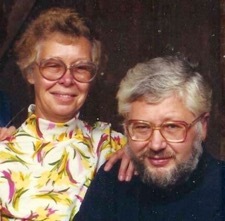 The mission of the Walter E and Barbara A Bauke Foundation is to help cancer, Alzheimer’s, mentally handicapped and visually impaired patients and their caregivers who have chosen to keep and care for their loved ones at home, but who may not have the financial resources to take advantage of services available to home based patients. Welcome to the new Bauke Foundation website. We hope you find it useful. Please contact us if we may be of help.